What a week in Florida! 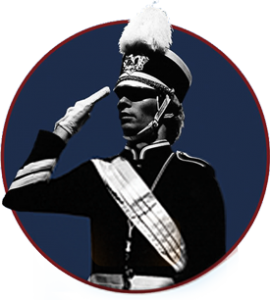 The last huts of the 2007 Drum Major Academy at Stetson University in DeLand, FL have been hutted. “Just once” we’ve shown a little bit of enthusiasm as we’ve fallen out. We’ve all long since checked out of our dorms and many are probably already safely at home taking a well deserved nap. I’m currently sitting in the airport in Orlando awaiting my flight to Boston for a short, but rewarding visit to some dear friends from my days in the Minuteman Band. While some of my colleagues from Florida and I have the next few weeks off before my next Academy location begins, the others are done for the year and turning to their normal lives. Matt Ford (English teacher) and Erin Cooper (graduate student in wind conducting) are both taking a week or two before they head to Charlotte, NC for their next assignment. John Lanzillo is somewhere around this airport waiting for his flight to California. He works for the world’s premiere face painting company….the people you see in theme parks and at events around the world. He’s heading out there for a month, first for a seminar and then for a month of working in the LA area, where he’ll be assisting in the management of large groups of face painters at the theme parks in the area. That sort of makes me think of how wonderful an impact the Drum Major Academy can have on anybody’s life. He, and many others, did not go into music education, but his time in the Minuteman Band and working as a member of the IMPACT team had a profound enough effect on him that he keeps coming back every year. The lessons we learn and the friends we make are the transformational sort of happenings that help to define who we are and the outlook we choose. Our staff includes doctors, artists, teachers, scientists, video game designers, police officers, band or orchestra directors (of course! ), and other interesting jobs. We’ve had so many different experiences and we come from all over, but we share one common bond. 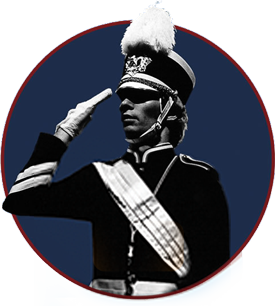 Participation in band was an important part of our experience, and the Drum Major Academy helped us to maximize that experience. Every summer at each session, my faith in the importance of music education is renewed as I meet students from all over the country who remind me so much of my best friends from my days as a band student. Florida has certainly been no exception, and I think I can speak for the staff when I say we wish you the best of luck in your upcoming seasons! We hope to see you again somewhere down the road!